We�ve got DVDs to give away for a film we�ve been crazy about since seeing its premiere at the Sundance Film Festival in 2003. How crazy? Check out the reviews by Erik Childress and Collin Souter. HOW TO WIN? SIMPLE. FIRST - Rate and place your comments to ANY 5 movies in our database. 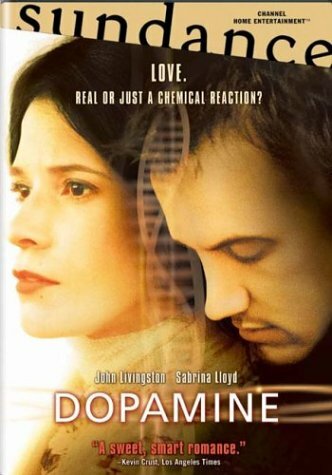 (Start with Dopamine - Wink!) Just scroll down to the bottom of any review, drop a quickie comment and click "Submit Your Comments". THEN SEND IN YOUR NAME AND ADDRESS TO contests@efilmcritic.com. Put "GIVE ME SOME DOPAMINE" in the subject line and cross your fingers. We will draw names and one of the DVDs from Sundance will be yours. Only 1 entry per household.